Facebook CEO Mark Zuckerberg took advantage of a captive audience at F8 conference to announce the Messenger Platform, which brings chat bots to Facebook Messenger. These little intelligent pieces of software baked into Messenger are there to allow users to communicate with them in order to achieve a certain outcome. 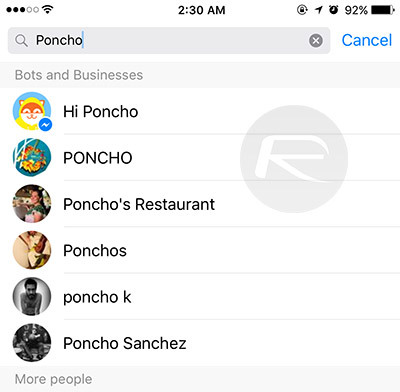 The database of available bots will grow over time, though the technology did launch with a few options, such as CNN, Shop Spring, Hi Poncho, and 1-800-Flowers.com, all of which are available for iPhone and Android users right now. We’re going to take a quick look at how to interact with them. Step 1: First and foremost, you’re going to need to have Facebook Messenger app installed on your device. 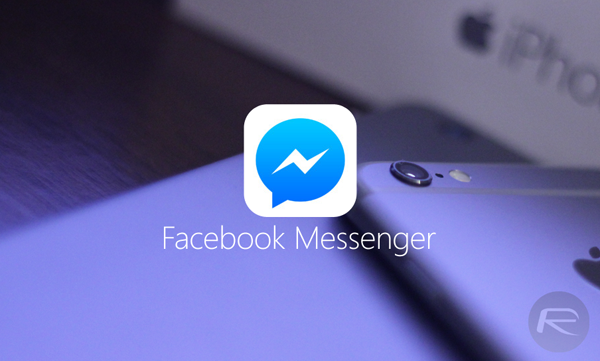 Facebook offers the Messenger app as a free-of-charge download from the App Store and Google Play Store, so grab it now if you haven’t already to start your Messenger journey. Step 2: Launch Facebook’s Messenger app. Step 3: In the app’s Recent tab, tap on the search bar at the top of the interface to start the process of searching for an available bot (current options include CNN, Hi Poncho, Shop Spring, 1-800-Flowers.com, and some more). Step 4: To begin the interaction, tap on the name of the displayed bot to take it to a private conversation within Messenger. Step 5: Now simply start chatting with the bot. Each bot, depending on the company that has provided it, will be capable of a different level of interaction and offer a different flow based on the type of solution that it is. 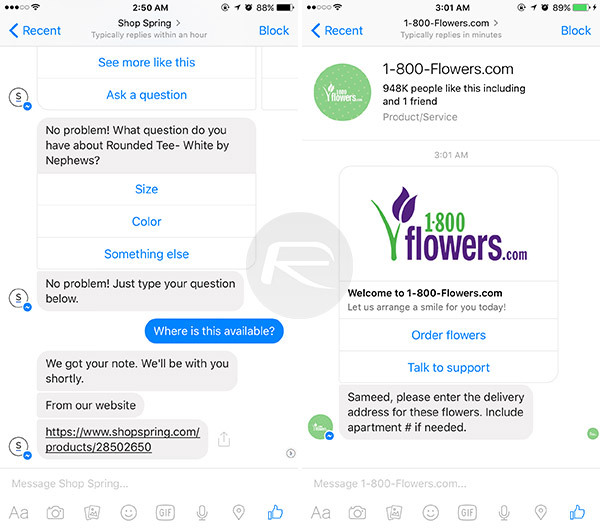 As an example, the CNN chat bot within Messenger responds to a simple “Hello” conversation starter by delivering various reports that the user would like to read. That can then be narrowed by replying with a simple search term or word that is currently a hot topic in world news, such as “Trump.” The CNN chat bot will then analyze the term and provide contextual reports based on its understanding of what has been said. 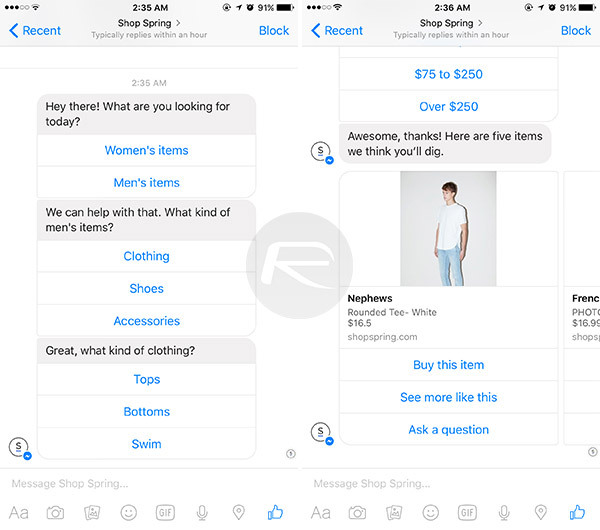 As previously mentioned, the number of available chat bots within Messenger will likely grow relatively quickly as companies to start to leverage this new technology as a way of interacting with their consumers.